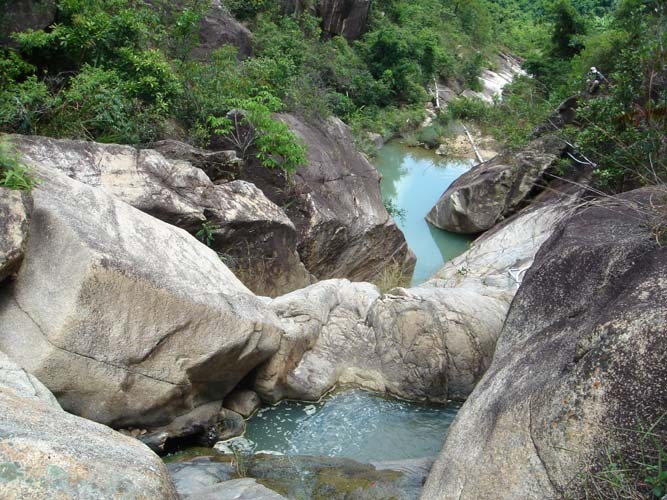 Wong Tong Stream (黃棠石澗) is located in the downstream of Wong Nai Tun Reservoir in Tai Lam Country Park. This stream is rather short and is quite open, you don't have to dash around inside bushes. Pools? Yes, but ... the water is quite murky due to the sandy nature of the surrounding environment. You can also find attractive waterfalls. 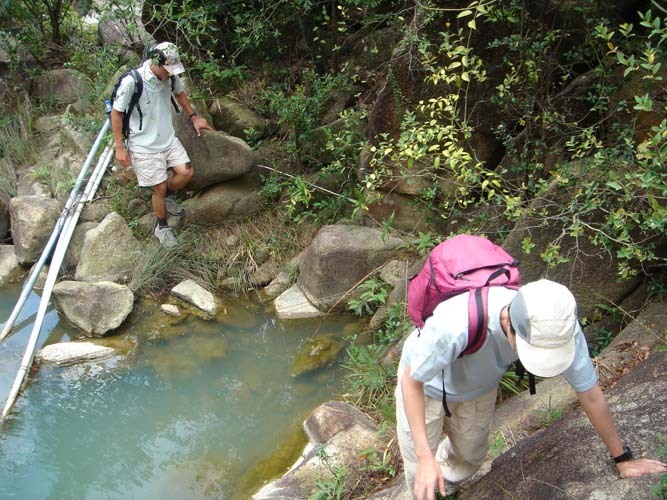 If you are not experienced stream hikers, please use the hillside track to by-pass the waterfalls. 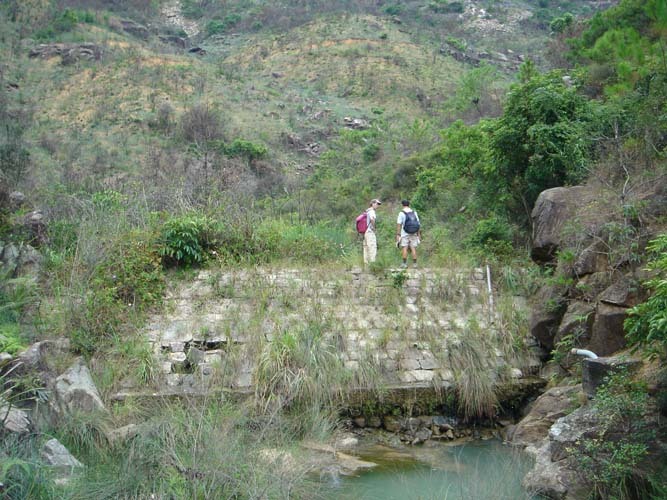 After reaching Wong Nai Tun Reservoir, some people will properly continue the journey of Jiu Huang Stream (九黃石澗) . Many small pools there, but water is aka murky. Here comes the funny part. 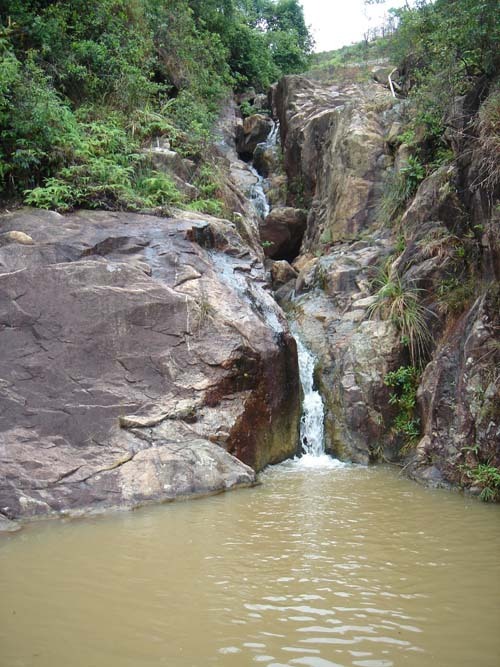 There are two consecutive waterfalls. The first one is easy to deal with. Gei is dealing with the second one in the video below. It takes some skill. 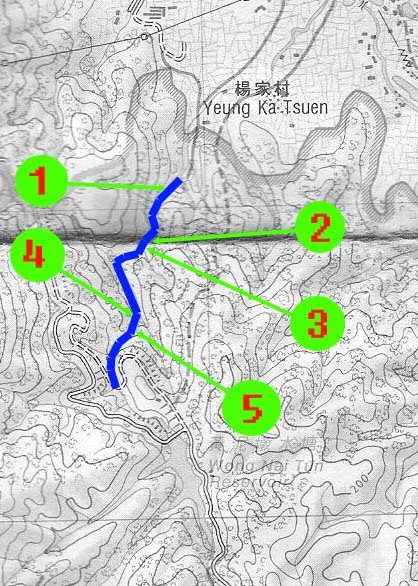 Actually, you don't need to follow Gei approach, you are recommended to make use of the hillside on the right of the waterfalls. 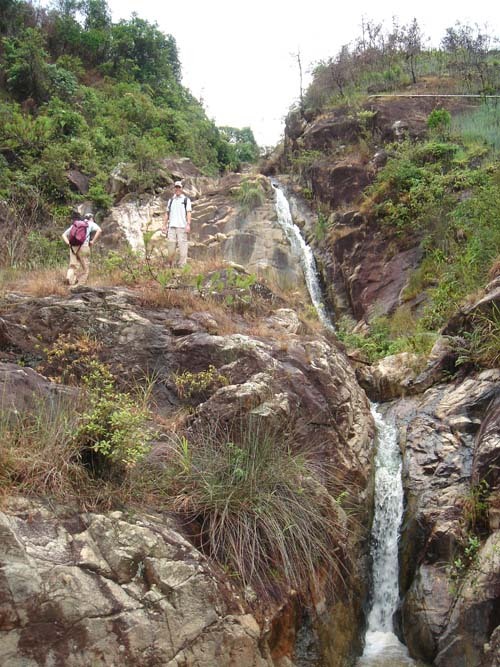 Right hillside can also help you to overcome the next waterfall as well. Beyond the two falls is a water pool but, again, it is murky. The rocky crack in front is really something. If you'd taken the right hillside for the previous waterfalls, you don't even need to border with this rocky crack.